As part of their continued efforts to involve private and community pharmacists in the fight against tuberculosis (TB), the REACH (Resource Group for Education and Advocacy for Community Health) in partnership with the Assam State TB Cell organised a consultative meeting to discuss the sustained engagement of pharmacists in the State. At the meeting held in Guwahati on Friday, communication materials on TB were formally unveiled and distributed to pharmacists. These materials include stickers, posters and cards with awareness messages, symptoms of TB and are intended for display at and distribution by pharmacists. 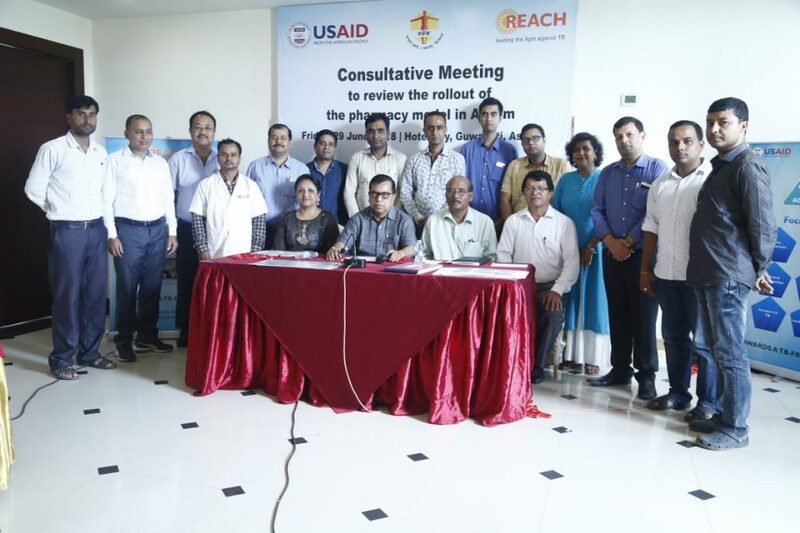 REACH and the State TB Cell have sensitized nearly 250 pharmacists in three pilot districts – Baksa, Darrang and Kamrup – over the last six months. In order to promote timely diagnosis and treatment, the initiative encourages pharmacies to refer those with TB symptoms and notify TB cases to the Government, stated Milan George Jacob, Media and Communications Associate, Tuberculosis Call to Action (TBC2A) Project, REACH. The discussions between the pharmacists and State TB Cell officials emphasised the plan of action to ensure that pharmacists continue to refer patients and help in notifying TB cases, and display Information, Education and Communication (IEC) materials. Several private pharmacists shared their experiences at the meeting. Dhruba Gogoi, president, All Assam Registered Pharmacists Association (AARPA), said, “We will involve all members of the association in this initiative. The association will also organise counselling sessions for patients and render services as treatment supporters.” Sofiur Rahman Khan, general secretary, AARPA, also attended the meeting. Dr D Deka, WHO consultant, Assam, presented the key aspects of the Revised National Tuberculosis Control Programme (RNTCP) with a focus on the TB situation in Assam. A pharmacist is the first point of contact for a person with cough or fever. Private pharmacists tend to be members of the local community, familiar with residents, available for long hours and easily accessible. Therefore, engaging local pharmacists to reach out to the community and increase the overall notification of TB cases is crucial.